i spent my saterday mornings in london waking up on a couch, the sight of massive blue cranes watching over me and very mellow beats humming in the background. two of the four parts of making a day great i'm sharing right here... all you need now is the good company and hotwings. the occupants of this batcave, Warren Ali and Tarryn Blackwood, have recently kicked off The Healing Arts Collective and is definitely a space to watch for interesting tidbits on the conduits, sounds and visuals of London. the site is brand spanking new so expect some movement over the next couple of weeks. 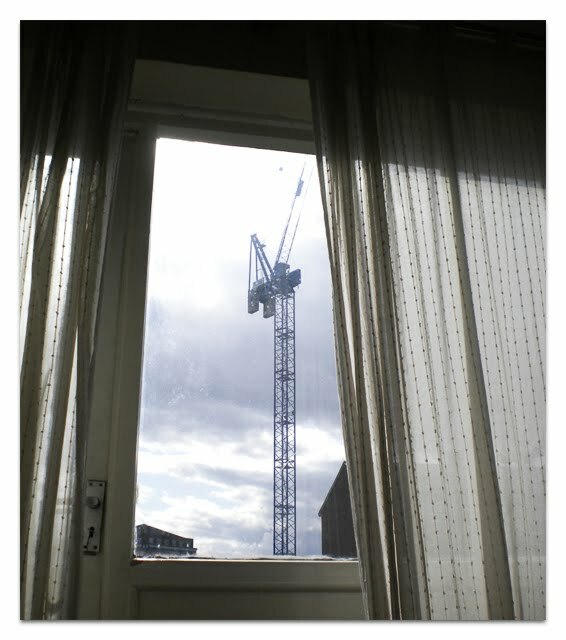 but in the meantime, clear a few minutes in the day, blaze a fat one, press play on this and stare at that crane.